You may not realize this, but even chickens have a learning curve. Apparently they are not born expert egg layers. 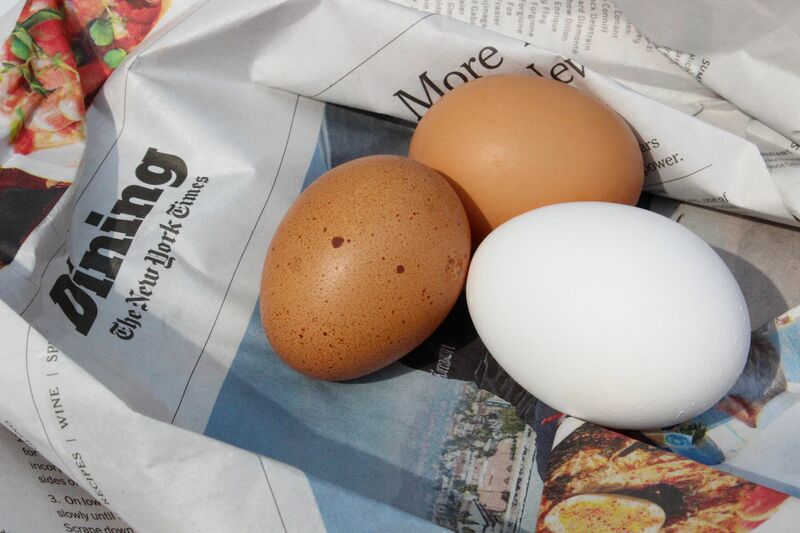 Hence, pullet eggs, the small eggs produced by young hens just entering the family egg laying business. Because of their diminutive stature, I thought they’d make a nice one-bite deviled egg. Back in Australia, I used to love curried egg salad sandwiches. Here I’ve adapted that salad into a deviled egg. These make for a wonderful cocktail party appetizer. Because they are one-bite, your guests can easily pop them into their mouths without ever having to set down their drink. How civilized. Slice the chilled eggs carefully in half lengthwise. Into a medium bowl, gently pop out the yolks. Using a fork, mash the yolks well. Add the mayonnaise, mustard, vinegar, curry powder, and salt to taste. Stir well to combine, until smooth. 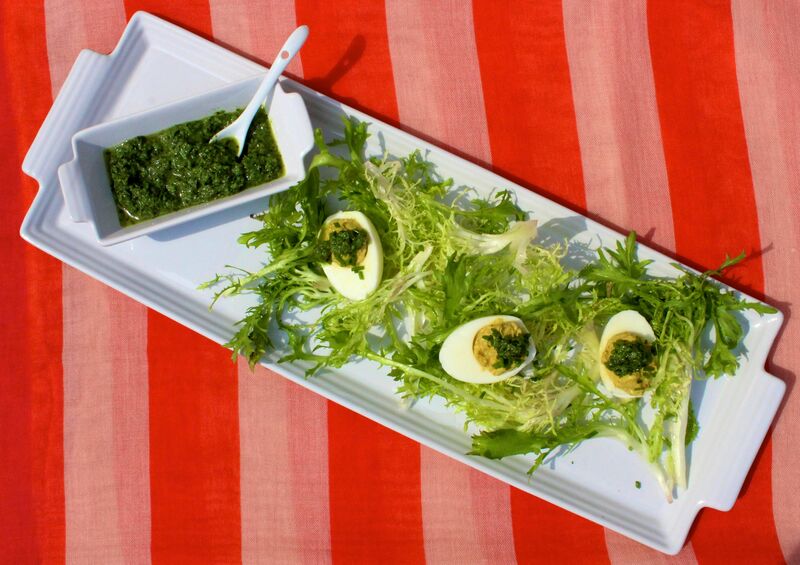 Garnish the eggs with chives and serve with chutney, if you like. This also makes a delicious accompaniment to the Indian-spiced Kohlrabi Salad. This entry was posted in appetizer and tagged curry, deviled, eggs. Bookmark the permalink.